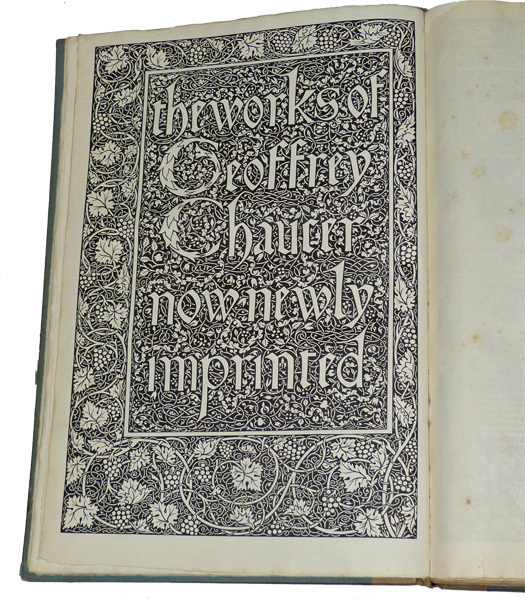 Barter Books : Chaucer, Geoffrey; Morris, William; Burne-Jones, Edward [illus] : The Works of Geoffrey Chaucer. 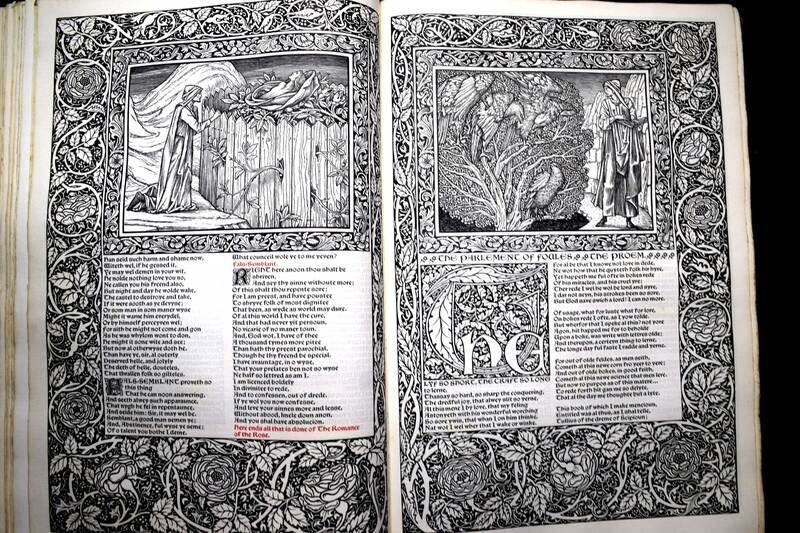 Kelmscott Press edition. 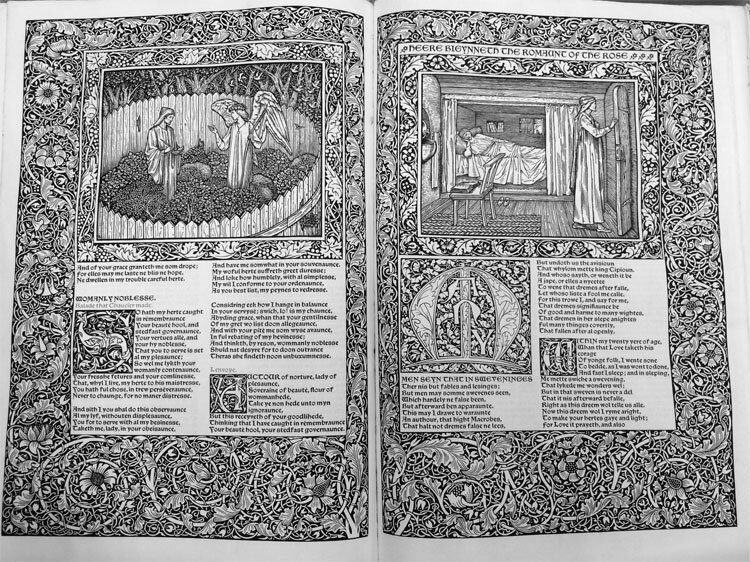 Eighty-seven woodcut illustrations after Edward Burne-Jones with title, borders and initials designed by William Morris. 430 x 300 mm (17 x 12 inches)8vo - ii, 554pp. 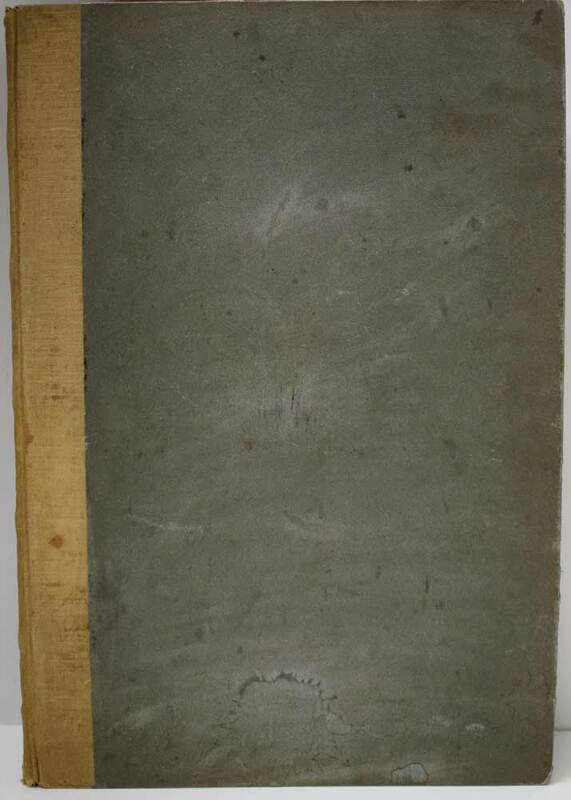 Holland-backed spine on original blue hardback boards. G : in good condition without dust jacket as issued. Holland-backed spine darkened commensurate with age. Boards with soiling. Front inner hinge cracked. Occasional off-setting, otherwise contents VG. 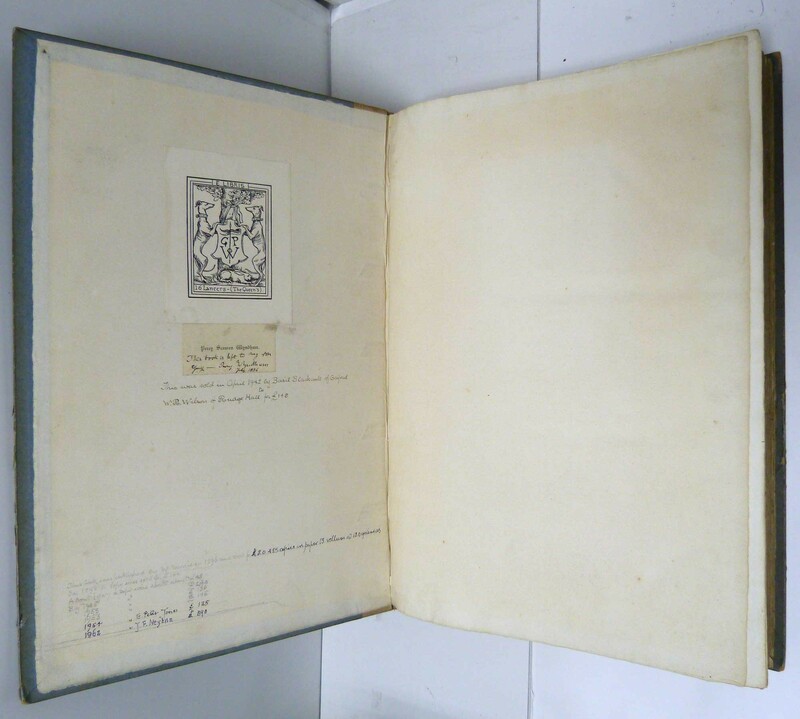 Book plate and previous owner inscriptions to front paste down. In blue boxed case. 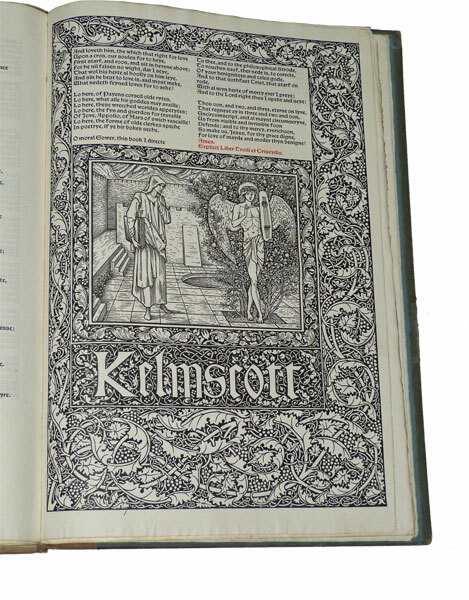 The masterpiece of the Kelmscott Press. 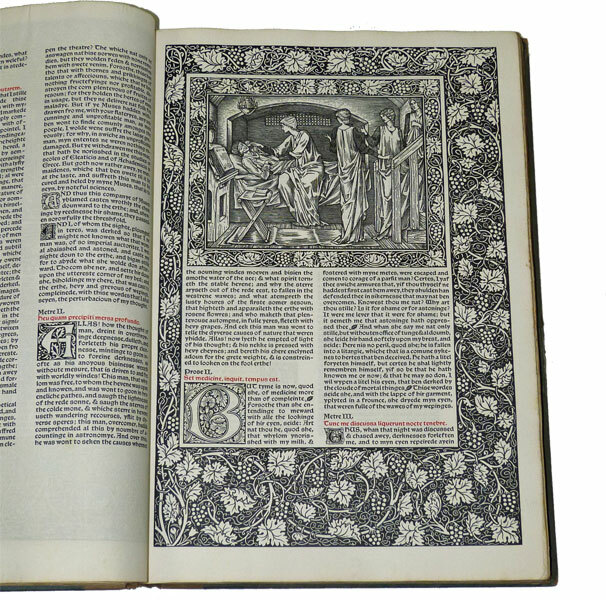 The work encapsulates William Morris's intent to challenge all he thought wrong with the Industrial Revolution - the reduction of the individual craftsmanship of past times to a diminished, soulless template for the machine production of consumerism. 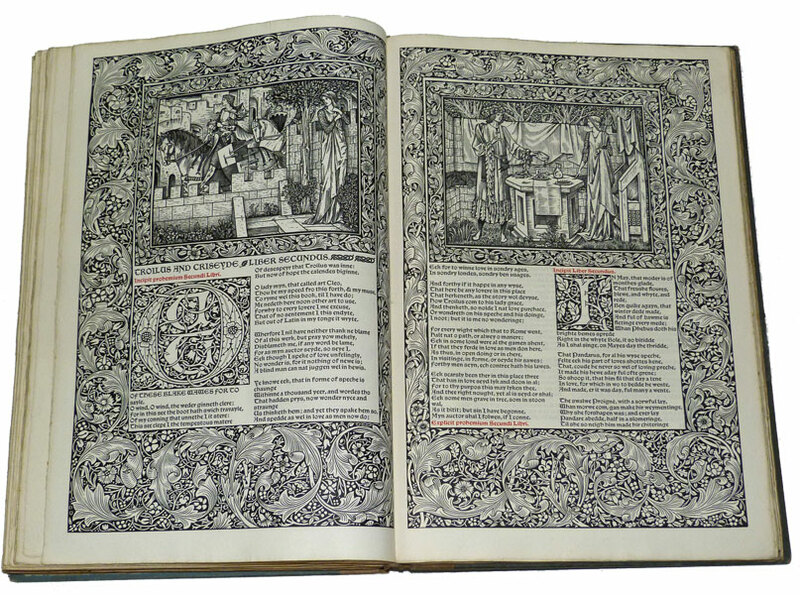 Derived from exemplars of medieval manuscripts and early printed books, the works of the Kelmscott Press enshrined principles based on beauty and aesthetics - Morris's final challenge to a changing world.